Greetings, Groove-ophiles! 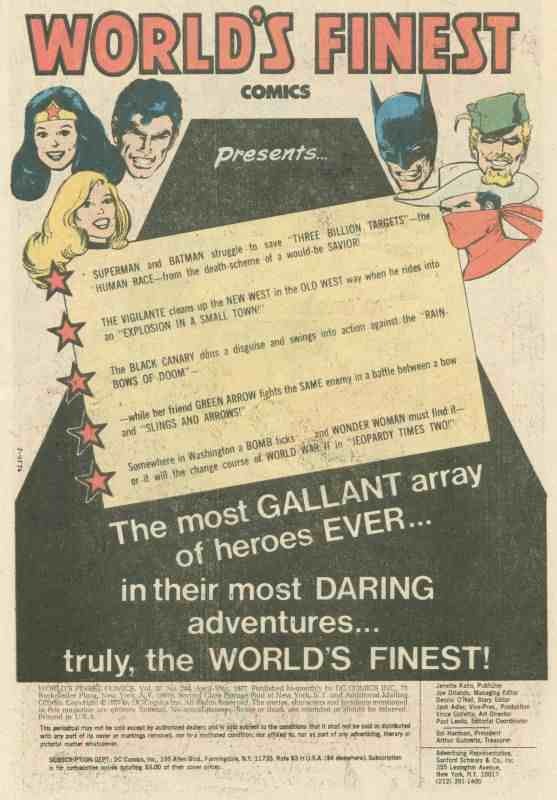 Yet another new feature makes it's dazzling debut this dynamite day: Odds N Ends. Odds N Ends will feature those off the wall, hard to categorize things yers trooly thinks about when he should be doing other things. 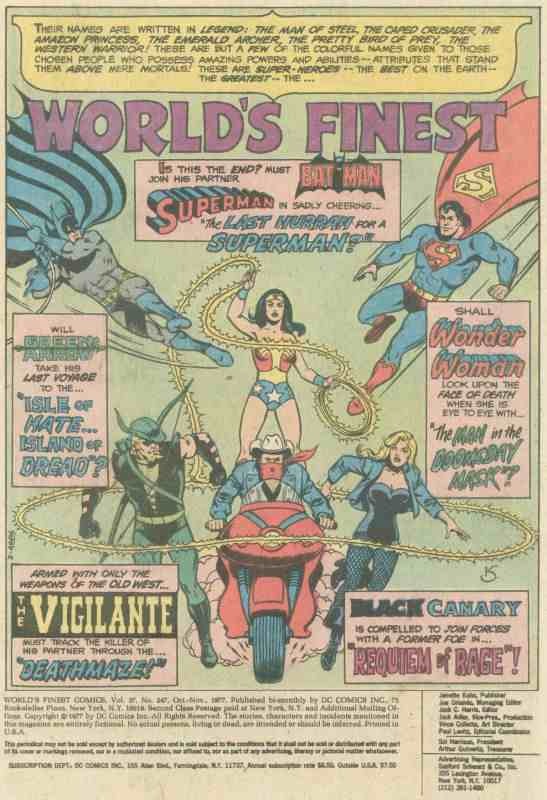 Like right now I need to be working on remodeling my merely magnificent man-cave, but here I yam yapping about the contents pages that graced the first era of World's Finest Comics' Dollar Comics Era (the 80 pages for a buck era, in other woids). Talk about your artistic extremes! 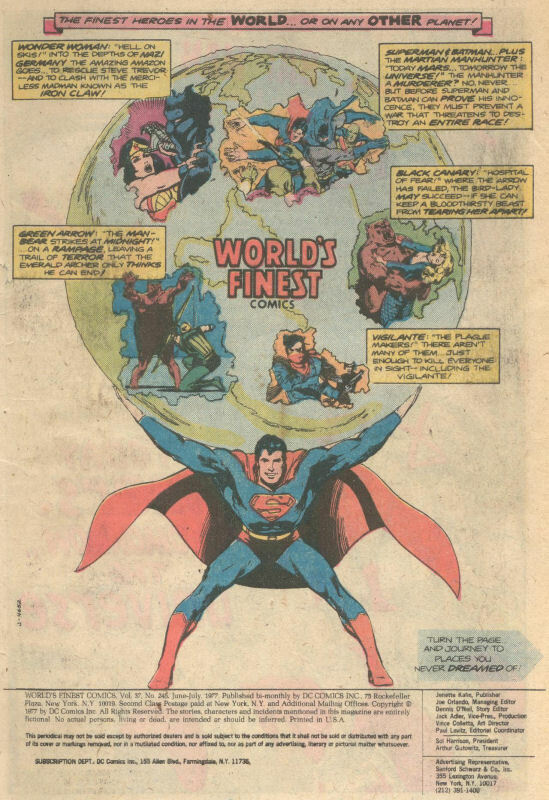 When we flipped open the covers of World's Finest numbers 244-252 (January 1977-May 1978)! 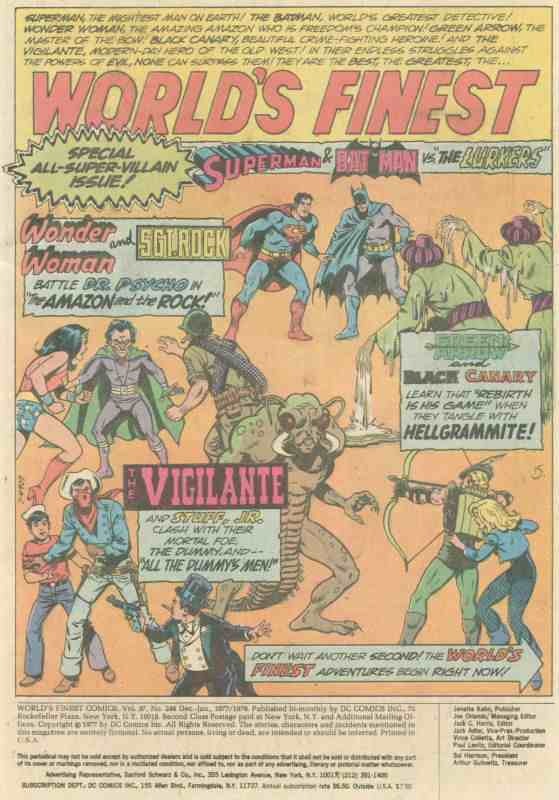 we saw Neal Adams (or at least his studio), Kurt Schaffenberger, George Tuska and Vinnie Colletta, and Steve Ditko all strutting their stuff, doing their doggonedest to make a table of contents page interesting. 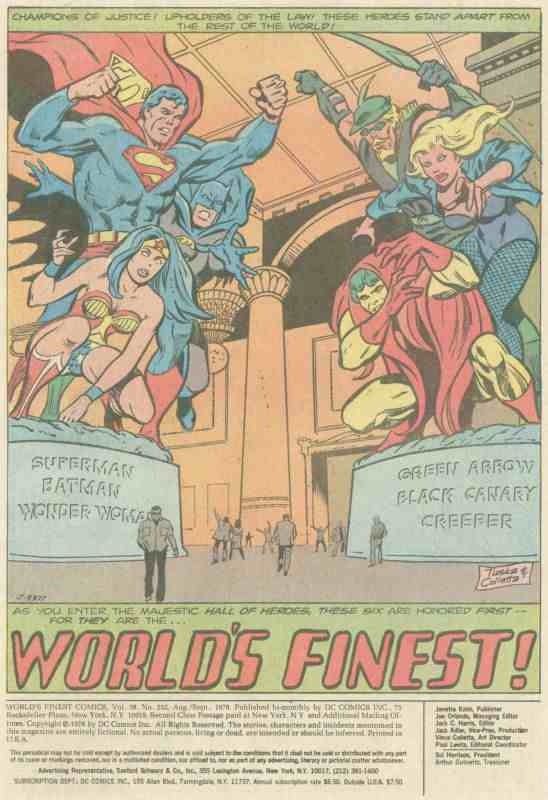 Did they succeed...? 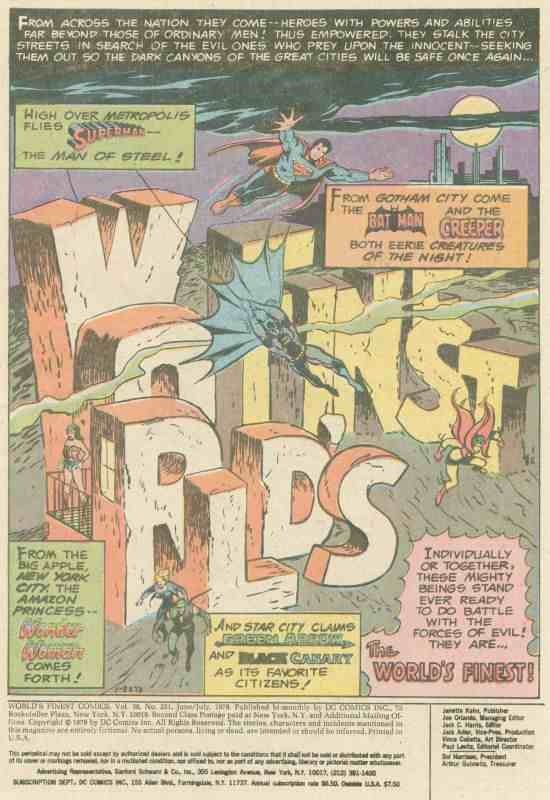 I've said it before, but I loved the dollar comic phase of World's Finest. 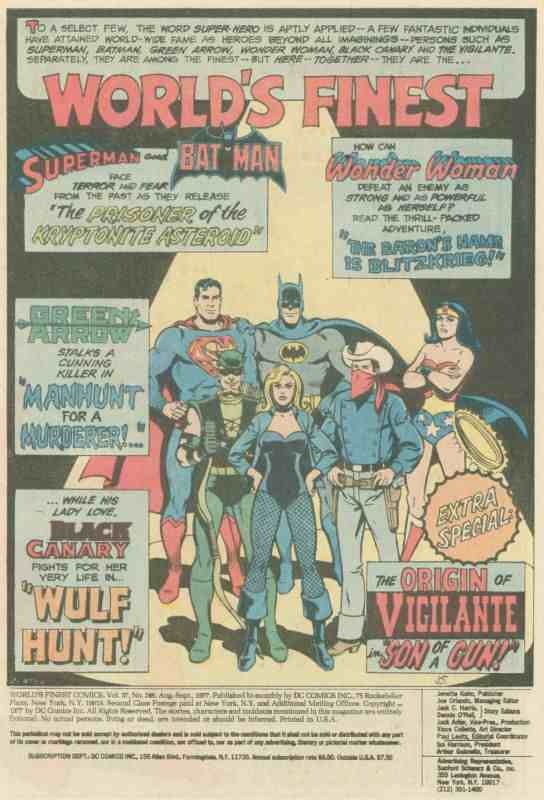 And these content pages at the beginning were exciting to me as a kid: it really let you know that your dollar was well spent. 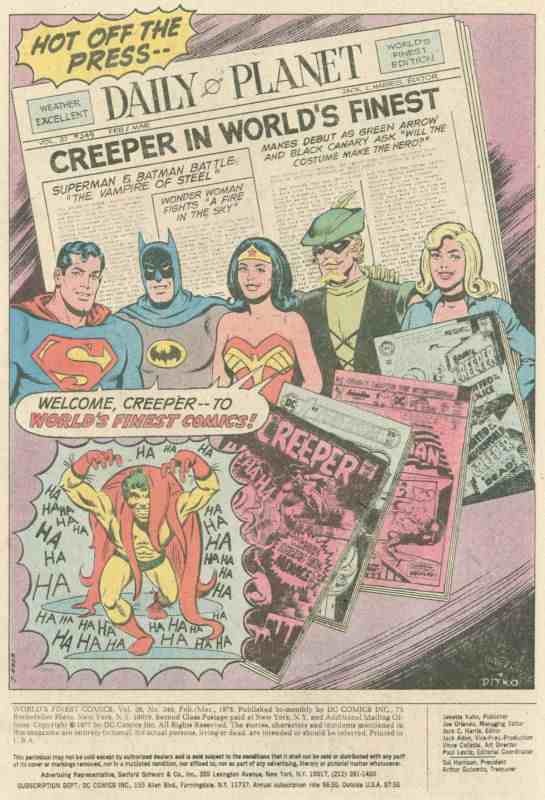 I bought those just to get Ditko's Creeper stories. The remainder seeme pretty weak. 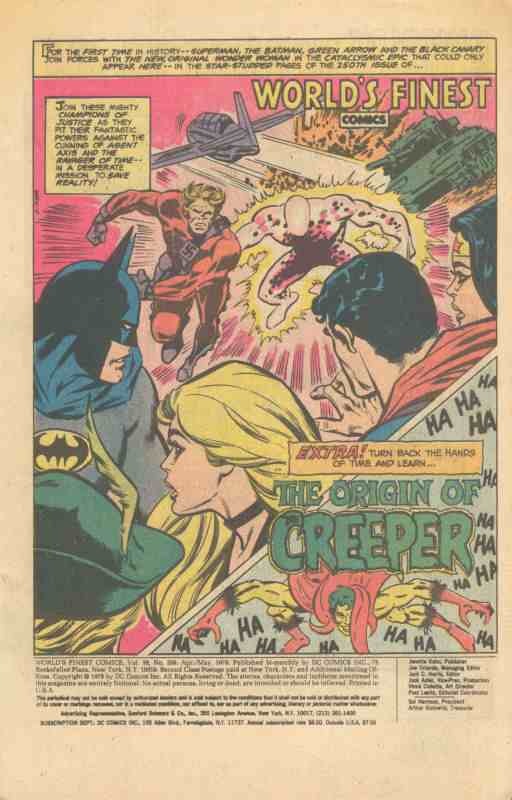 Nice to come across this blog on the day I discover Batman might really be from...New Jersey!